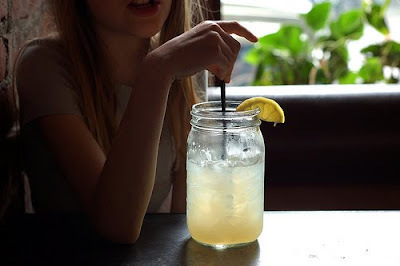 Lemonade is a perfect way to hydrate and refresh yourself on a hot day. I love to prepare a large jar of this sweet drink so that it's ready anytime. It's a perfect drink to offer to guests. A fun way to serve lemonade is in a Mason jar. Most people I've seen making lemonade squeeze the juice and mix it with water and sugar. Even the freshest homemade lemonades are made this way. But the technique I like to use is something that I picked up in Mexico. I've made both lemonade and limeade like this. The secret to this unusual recipe is the sugary syrup that makes the lemonade oh so sweet. 1. Heat 1 cup of sugar and 1 cup of water on the stove and bring to a boil. Reduce heat and stir until the sugar is completely dissolved. Your syrup mixture will be thick and darker in color. 2. 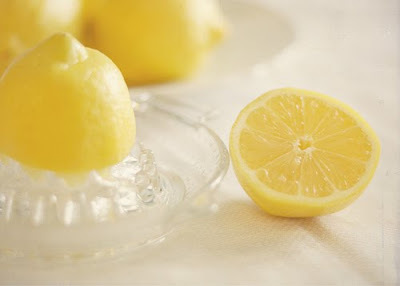 Squeeze the juice from 6 lemons and mix in a jar with 4 cups of water and the syrup mixture. 3. Refrigerate for at least 45 minutes. Squeeze the juice out of life! In other business, are you ready for the Lilly Pulitzer online sale today? Facebook fans will have first access to the sale at 10 a.m. and email subscribers will be able to shop the sale at 11 a.m. I'm sure that I'll find some good things, but what I really hope to find is a Shirley sweater that I regret not buying when I had the chance. Happy Tuesday to all of you! Thanks for the recipe! I may have to make this one day this week. I cannot wait for the Lilly sale. I am hoping to snag at least an Originals Tote in Stuffed Shells and a Halle sweater or two. What a great recipe... of course I just pour the Crystal Lite powder! Thanks for sharing this recipe. I'll be making it tonight.